This one is a no-brainer, but an absolute classic that never goes out of style. Your sweetheart will feel like a princess in a fairytale as you take her by the hand to lead her to the castle’s drawbridge, drop to one knee, and proclaim your everlasting love for her. If you are going to propose during the day, I recommend doing it right in the morning to avoid large crowds walking through the castle. If you aren’t able to do it in the morning or it is simply too crowded, I recommend leading her to one of the side alcoves in front of the castle. That way, you are still in front of the castle and you avoid the traffic, because nothing says “Spend the rest of your life with me” like getting your heel rammed by a double stroller. You can stay in the alcove as long as you like too, which is a great place to cuddle and share a kiss or two afterwards (but don’t get carried away. It’s a PG rating at the most at Disneyland!). In my opinion, the castle looks more magical at nighttime when it is lit up with magnificent colors and sparkling lights, so I highly recommend proposing at night. (I may be a little biased here though, because that’s how my husband proposed to me.) If there is going to be a fireworks show, the castle and Fantasyland will be closed off, but don’t be discouraged. If you talk to a nice cast member ahead of time, they will let you and your sweetheart cross the ropes for your magical proposal. I must warn you though. 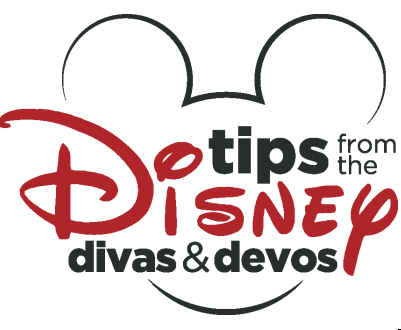 Diva Tip: Getting a cast member to say yes may take a few tries, but keep asking different cast members until you get the answer you want. Trust me. One will say yes and you won’t regret it. (It took my husband four tries.) Not only will you two lovebirds be the only ones on the drawbridge, you will have an incredibly large audience who will undoubtedly give you a roaring applause afterwards. 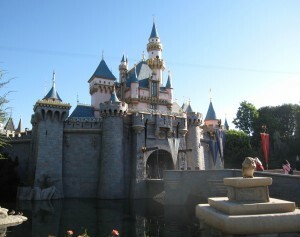 To the right of Sleeping Beauty’s castle is another token princess attraction at Disneyland: Snow White’s wishing well. The setting is perfect. You have the gorgeous castle on one side of you and beautiful Italian marble statues of Snow White and the Seven Dwarfs next to a little waterfall on the other side. “Make a wish into the well, that’s all you have to do, and if you hear it echoing, your wish will soon come true,” you hear the fair princess sing. Millions of people throw coins into the wishing well, hoping their wishes will come true. After you two have thrown your lucky coins into the well and made your wishes, make your sweetheart’s wish come true by asking her to spend her happily ever after with you. 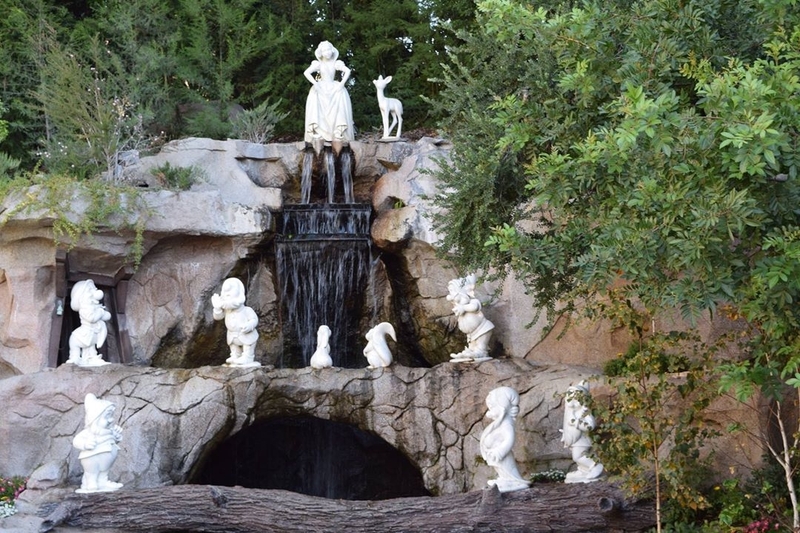 Diva Tip: The Snow White Grotto can get busy during the day when princesses are there to visit and take pictures with guests, so avoid those times for a more intimate proposal. Next to the Snow White Grotto is a charming wooden bridge with hearts on it that would also set the scene for a romantic proposal as well. Make a splash by giving your sweetheart a wet and wild proposal on Splash Mountain! The water ride with a 52.5 feet drop is located in Critter Country. Before you go to Disneyland, make a sign and in big letters, write “Will you marry me?” Fold the paper as small as you can and put it into your back pocket. When you are plunging down the slide, take an even bigger plunge of your own and hold up your sign for the ride photo! When you two check out your photo when you get off of the ride, your sweetheart will see your question. (Be ready with the ring and to drop down to one knee!) Diva Tip: Avoid getting a seat in the very back in case your sign gets cut off in the photo. The closer you can get to the front, the better. Tell the cast member you want to ride in the front and they will accommodate you. Have your sweetheart sit in front of you of course so she doesn’t see your sign. If you are in the very front, be prepared to get soaked. Don’t forget to buy your photo! This is by far, the most romantic restaurant in Disneyland. It’s an indoor restaurant located inside of the Pirates of the Caribbean attraction, but the way it is decorated makes you feel like you are outdoors with a beautiful twilight sky above you and fireflies glowing around you. Colorful balloon lanterns are strung above the tables, creating a truly enchanting setting for you and your sweetheart. 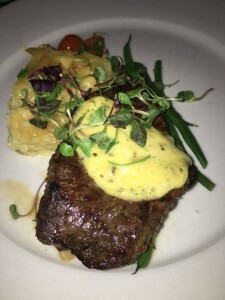 Both, lunch and dinner are served at Blue Bayou and although the prices are on the higher end, the food is absolutely exquisite and worth the price in my opinion. 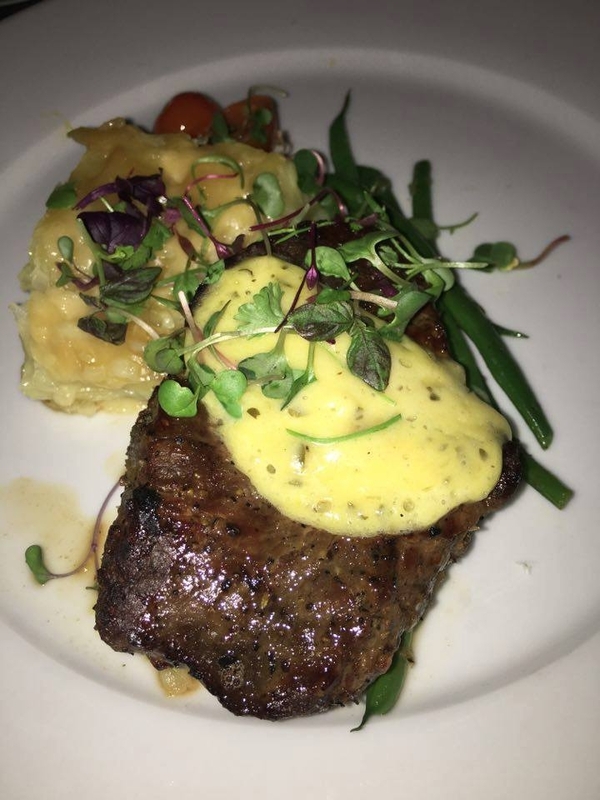 My personal favorite is the Broiled Filet Mignon ($46). No matter how you propose at Blue Bayou, you simply can’t go wrong with the romantic and magical atmosphere it provides. Don’t be afraid to ask a cast member or two to help with the proposal. I once saw a man sneak off by the bathrooms and flag down a cast member to put his girlfriend’s ring on a plate containing her dessert. P.S. She said “Yes!” Reservations are highly recommended and can be made up to 60 days in advance via online or by phone. The Disney Dining can be reached between 7:00am and 9:00pm every day at (714) 781-DINE. Diva Tip: Disneyland is currently offering a Paint the Night Dining Package, which includes a three course dinner and admission to the Paint The Night parade’s preferred viewing area. Celebrating 60 Years of Disneyland with 60 Fun Facts!